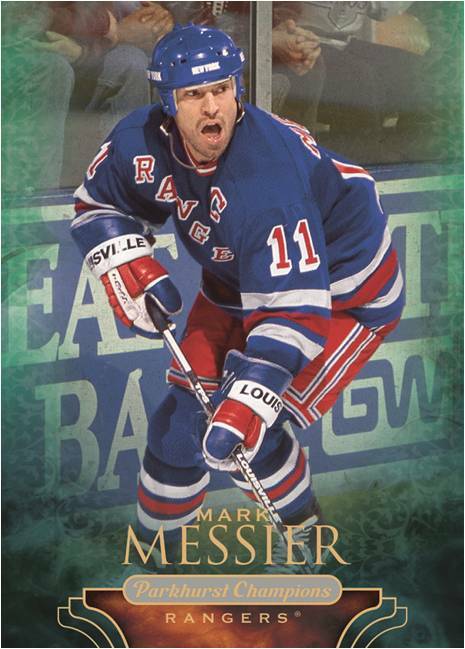 2011-12 Parkhurst Champions Hockey is an all retired star set that combines the look of past Upper Deck Parkhurst sets with a configuration like the Champ's sets from a couple of years ago. Crisp photography, on-card autographs, mini parallels, original art and bizarre prehistoric fossils and artifacts are among the many highlights of the historically based set. 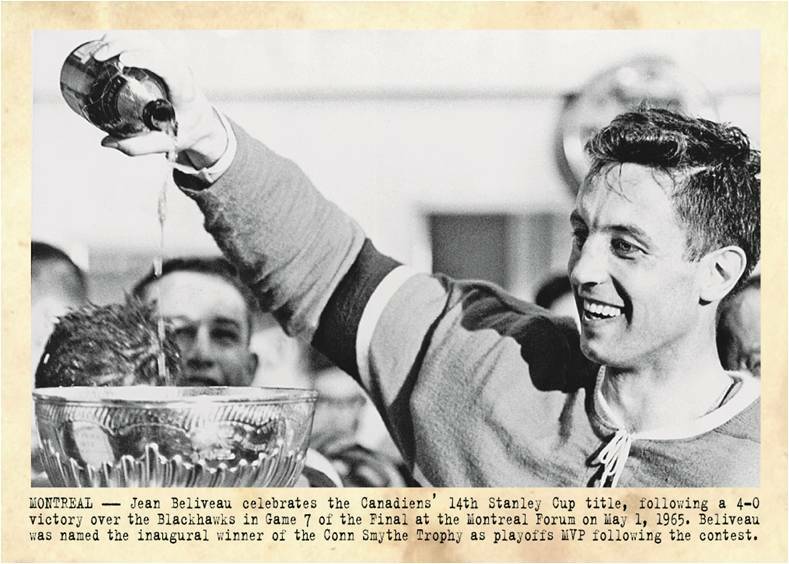 The introduction of Wire Photos brings some of hockey's most iconic pictures to cardboard within the context of which they actually appeared. Five Wire Photos cards including one multi-player card. Two to three Renditions cards. 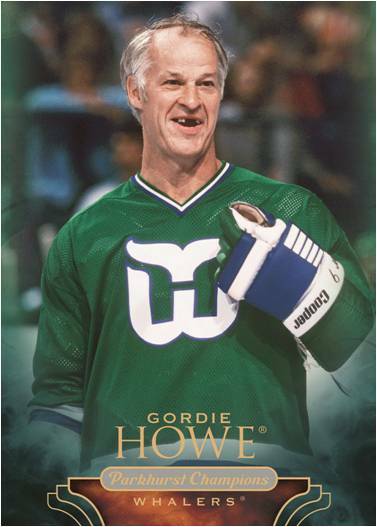 All retired legends release featuring a 100-card base set. The entire base set includes autographed parallels (1:20). 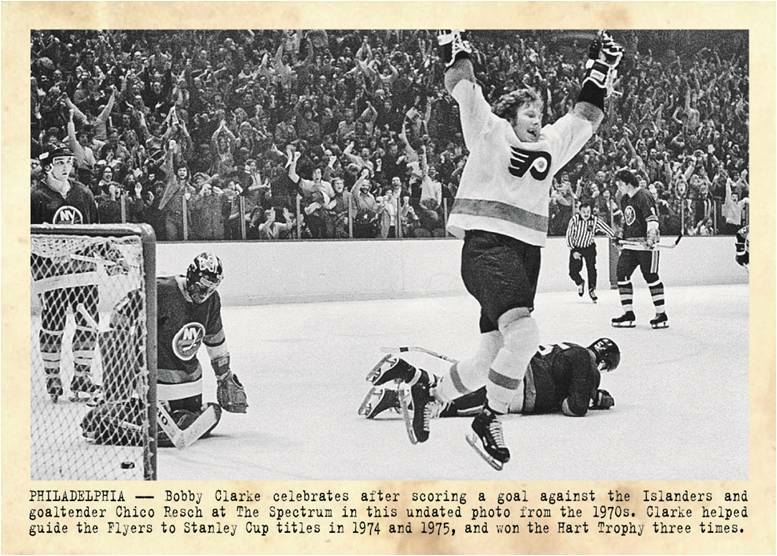 Wire Photos (1:4) capture some of hockey's greatest moments. The 30-card set includes both single- and multi-player cards. 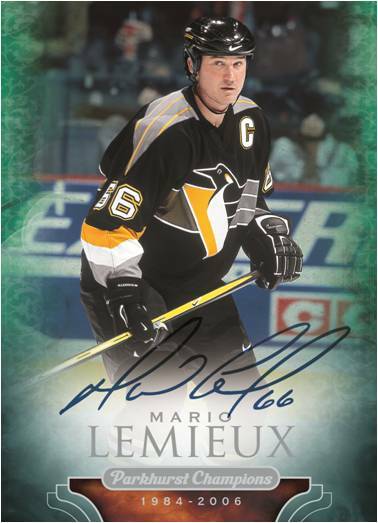 Wire Photo Autograph parallels (Single-signed: 1:400, multi-signed: 1:2,600) include such signers as Wayne Gretzky, Mario Lemieux, Steve Yzerman and Jean Beliveau. 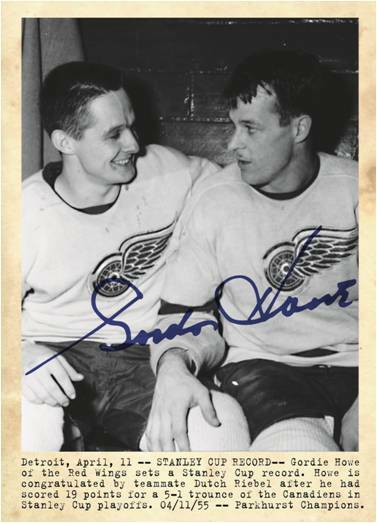 Multi-signature combinations include Gordie Howe and Ted Lindsay, and Johnny Bucyk, Phil Esposito ad Bobby Orr. 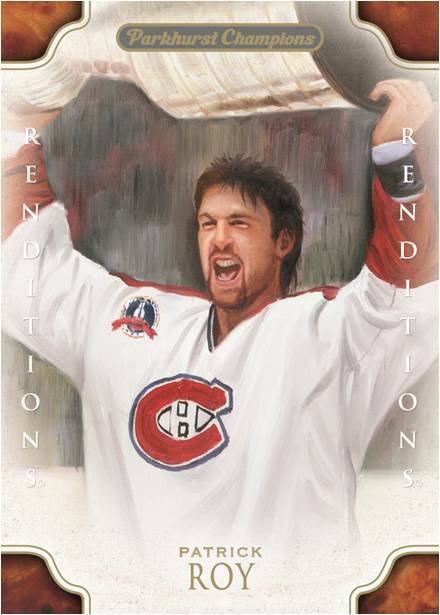 Renditions is a 30-card insert set that gives an artistic look at some of the NHL's all-time greats. The basic color version is paralleled by a much rarer black and white version. Autograph parallels: Color (1:800), Black and White (1:4,000). 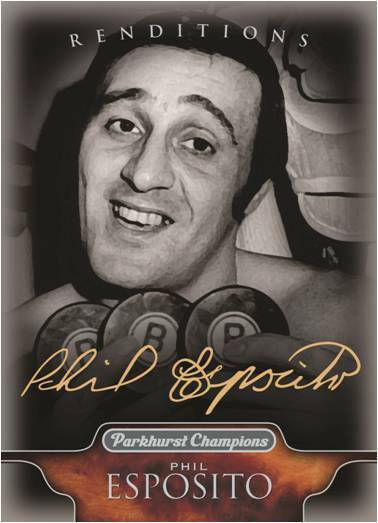 Champ's mini cards inserted one per pack in the following versions: Regular (1:2), Short Prints (1:20), Green Backs (1:6), Green Backs Short Prints (1:80), Parkhurst Backs (1:171), Parkhurst Backs Short Prints (1:2,560). Champ's Fossils & Artifacts (1:1,280). Champ's Signatures (1:90). Red parallels (/5) will also be available. Each 16-box case should include one of the following: Fossils & Artifacts or Champ's Red Ink autograph or Parkhurst Masterpiece Sketch or Wire Photo Multi-Player Autograph card or Renditions autograph.